Pamplin Media Group - Is Metro the right agency to lead on housing? Is Metro the right agency to lead on housing? We all want more affordable housing. But the regional government has some questions to answer about its role. For years, lots of people, including us, have been saying that the lack of affordable housing is not just a problem in Portland. Just ask first-time homebuyers or someone seeking an apartment they can afford in Hillsboro or Beaverton. The same holds true in Gresham, Milwaukie and elsewhere. Even in Forest Grove, prices are creeping higher. The problem is particularly acute for renters, as rents are rising faster than incomes in the region. Housing costs are deemed "affordable" when they don't constitute more than 30 percent of a household's income. An analysis by Metro, our regional government, shows that a typical renter in the Portland area, earning $3,420 a month, would spend more than 30 percent of his or her income on anything but a typical studio apartment. While this is clearly an issue affecting the entire metro region, only one city — Portland, where voters already approved a housing bond measure — has made a serious effort to do something. So now that Metro is proposing a regional response to the affordable housing shortage, why are we nervous? Let's start with the price tag. The proposed property tax bond would raise $653 million, making it one of the most expensive money measures in Oregon history. It would be five times as big as Metro's 2008 zoo bond and 13 times bigger than the agency's 2013 greenspace bond. But more important than the money is the murkiness of the mission and the potential pitfalls it poses. When voters agreed to raise their taxes to support improvements at the Oregon Zoo and to maintain thousands of acres of natural areas, they were handing their tax dollars over to an agency with years of experience caring for elephants and restoring wetlands. Housing is a new area of focus for Metro, and it will change the dynamic of that agency and its relationship to the 24 cities and three counties within its jurisdiction. Metro would collect the bond money from taxpayers, but then pass it along to larger cities and countywide housing authorities to help build up to 3,900 or more units. This framework could produce a thicket of potential conflicts. Some cities will accept more affordable housing units — primarily apartments — while others will resist. Currently, Metro has no hammer to ensure equitable distribution of both the benefits and burdens associated with government-financed housing. For this effort to succeed, voters and local officials in all the cities will need to commit to the idea that the affordable housing crisis is a regional problem requiring a regional solution. Some local officials already are balking at the prospect of putting low-income housing within their borders. Conversely, some communities — clustered around good public transportation and jobs — may be better suited for new affordable housing than others and will welcome the units. That will leave some taxpayers paying for housing that doesn't directly benefit their communities. Given all those concerns, the Metro Council has a great deal of work to do between now and November. The council this week voted to place the measure on the November ballot. With that formality out of the way, the council must spend the next five months honing its sales pitch. The per-household cost is noticeable but not onerous. Spread out over property-owners in the urbanized areas of three counties, the bond measure pencils out to $60 per year for the typical homeowner over the expected 20-year life of the bond. There's also the issue of Oregon's constitution. For reasons no one seems to understand, the state constitution specifically prohibits governments from partnering with private businesses on projects funded by general obligation bonds. Lawyers for Portland interpreted that as meaning the bond funds can't be applied to the traditional method of building affordable housing, where governments only fund a portion of the projects, while developers or nonprofit housing groups pick up some of the costs. That constitutional hurdle may be a moot point, as the Legislature referred an amendment to the November ballot that, if passed, would allow local governments to use bonds for affordable housing projects without owning the units, and to collaborate with nonprofits and others on the financing. That constitutional amendment ought to be approved no matter what. 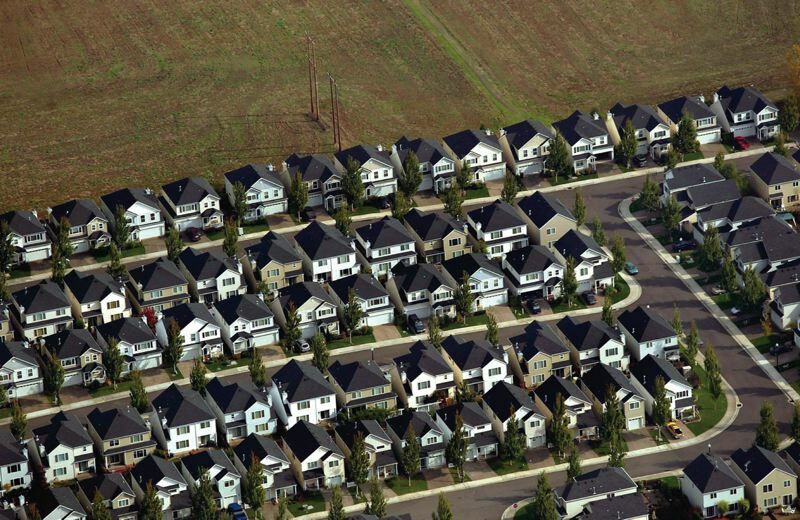 More public-private partnerships to address the housing crisis are needed. What's still unresolved — at least for us and a number of local leaders — is whether Metro is the right agency to collect and distribute hundreds of millions of dollars toward the cause. The answer will greatly depend on the Metro Council's ability in the next few months to bring mayors, city councils, county commissioners — and especially voters — fully on board with the plan.